I may have mentioned this before, but I am a cheese monster. I can never get enough of the stuff and there’s nothing better than a wedge of cheese, some slices of cured sausage and an apple for lunch. So, I am naturally drawn to the small village of Roquefort-sur-Soulzon where the creamy, blue-veined cheese is ripened in the damp, underground caves. On my way there, I was surprised by the lack of Lacaune sheep in the fields. The ewes can produce up to 240 litres while lactating and it is this milk which forms the base of the creamy Roquefort cheese. A large car park with Motorhome services is available at the entrance of the village, next to the tourist office which, as usual, is closed at the weekend. I’ve never understood why French tourist offices close at the weekend out of season, when this is the most likely time that they will receive visitors. Luckily, I already have a map of the village and so I take a path through the woods and up into the heart of the cheese-making caves. 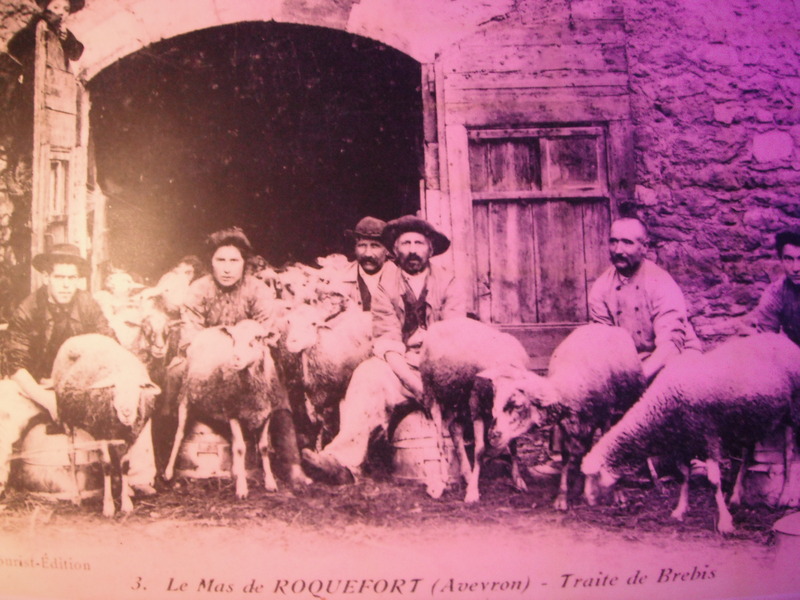 If you have ever bought Roquefort cheese in your local supermarket, then it is most likely to have been produced by the large commercial enterprise of Societe. I tend to avoid such places in favour of seeking out the smaller, less well known producers who offer a more personal touch. This is how I end up in the family owned cave of Gabriel Coulet. I’m greeted with a smile as I enter the shop and shown to a door where my cave visit begins. A short video explains the method of manufacture of this rather pungent cheese whose scent permeates the whole village. First the sheep are milked and the curds are cultured with a natural penicillin which produces the blue veins. 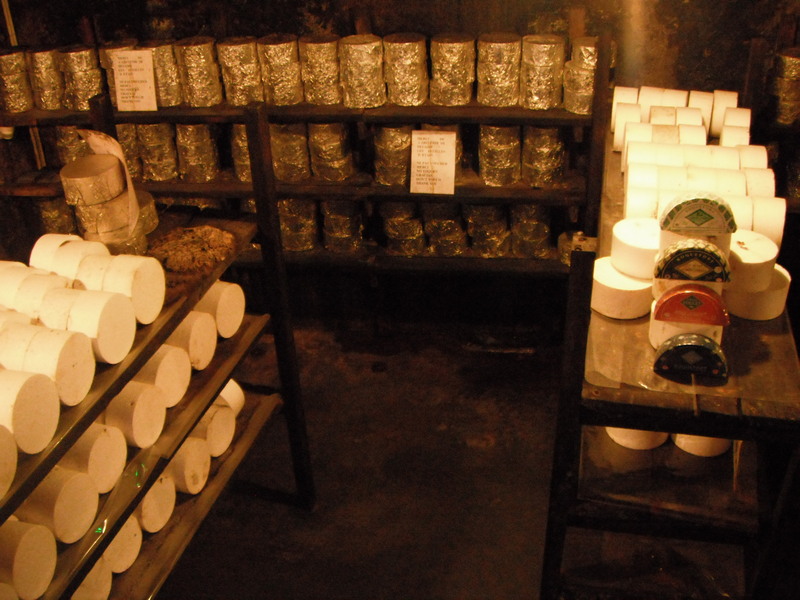 It is then packed into circular moulds and the resulting rounds are salted before the cheese is stored openly for several days in the underground caves where the limestone fissures, known as fleurines, provide a unique ventilation and ensure the cheese ripens. The next part of the tour takes me down into the caves themselves where hundreds of rounds of cheese are stored on wooden racks. I’m surprised that health and safety regulations allow me to be so close to the cheese until I realise that it is not cheese at all, but polystyrene blocks for display purposes. 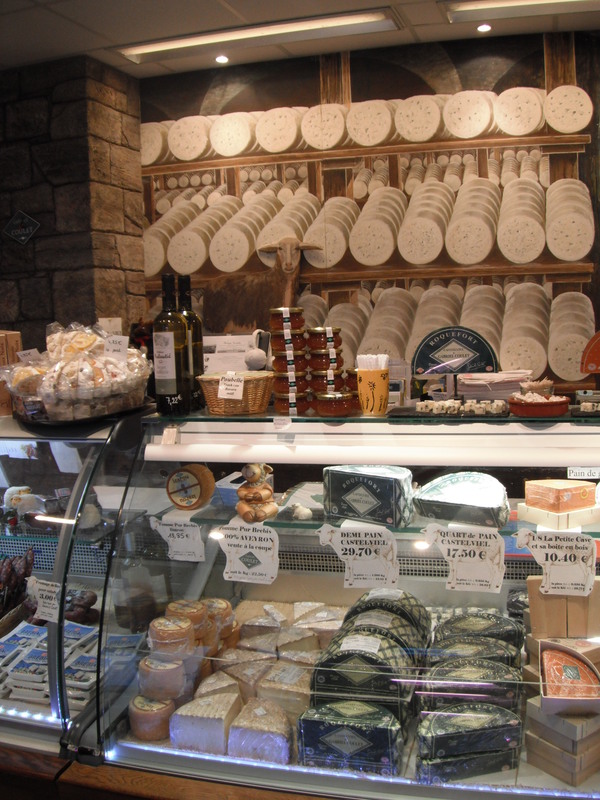 The real cheese is stacked in plastic crates behind a glass partition where it meets EU regulations. The cheese is eventually returned to the factory where it is covered in tin foil and further ripened. Three varieties are produced – 8 months, 10 months and 22 months – each colour coded by the packaging. 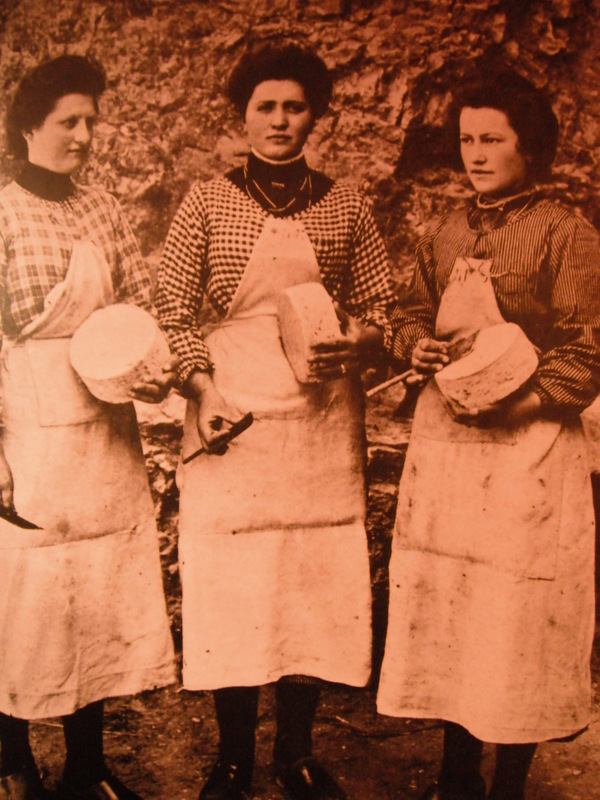 The last part of the tour exhibits the traditional cheese-making equipment and some old photos showing the way the cheese was produced a hundred years ago. It has all changed now. 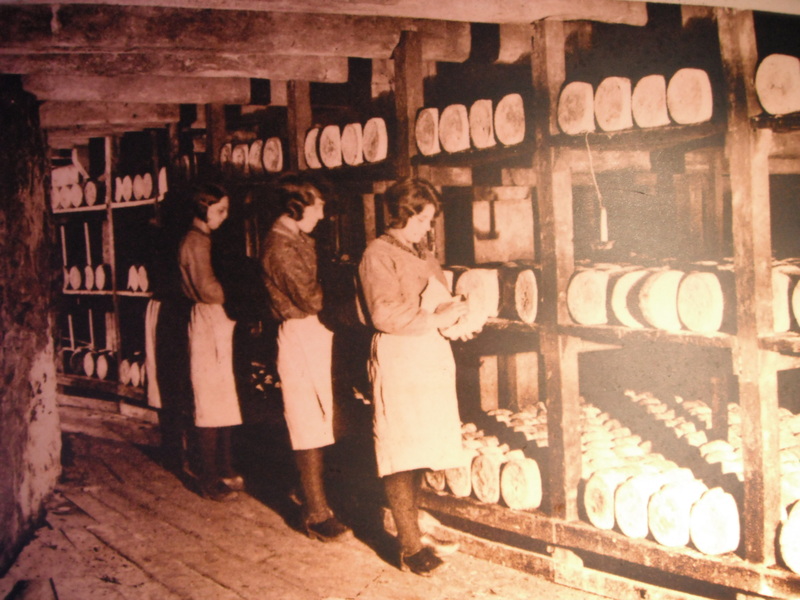 The cheese is no longer milked by hand and no longer stored openly on wooden shelves, more machinery is involved and less manpower is required. 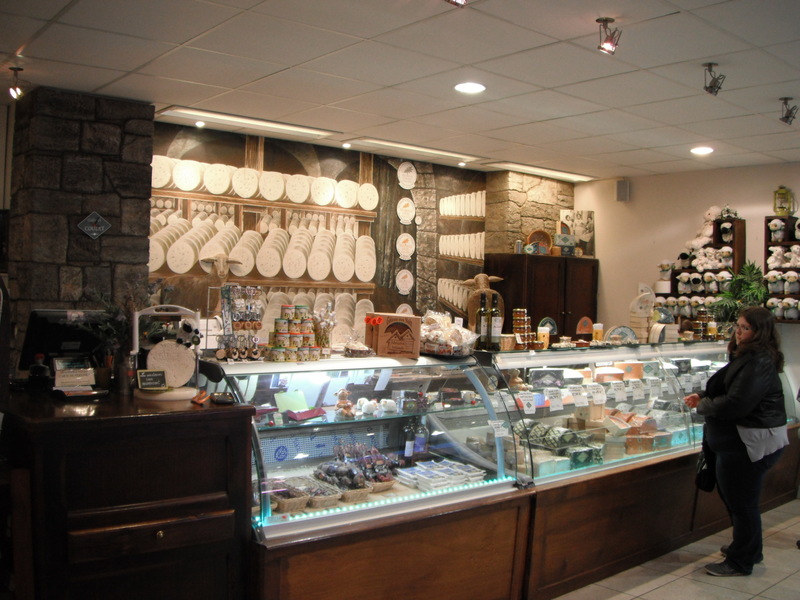 Back in the shop, I’m offered the chance to try the Roquefort, as well as some other local cheeses and cured sausage. My favourite is the 10 month old version and I am able to buy it in small individually wrapped pieces. I also receive some leaflets with recipes ranging from the bizarre prawns in coconut milk with Roqufort, chicken tajine with Roquefort and clementine cheesecake with Roquefort, to the more mainstream omelette, quiche and pasta. 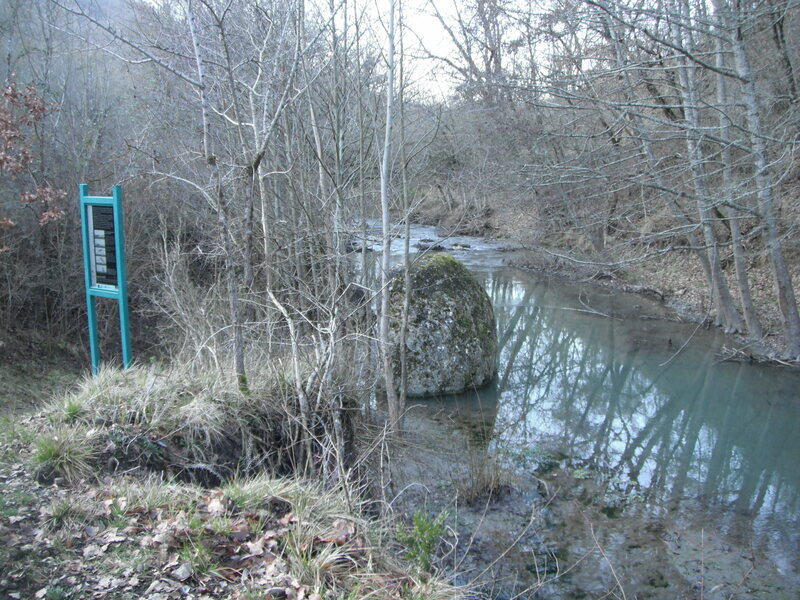 In order to burn off the calories of my cheese tasting, I decide to seek out the Soulzon menhir by following a path down to the river. It’s muddy and littered with fallen brown leaves but I persevere and eventually find the large rock actually in the river. However, I’m unable to find the continuation of the path and end up backtracking up a steep slope back to the village. It’s a tough climb and by the time I reach the top I find I’m in need of an energy boost so I seek out another cheese producer with the beautiful name of Papillion (Butterfly). It takes a while to locate them as they have moved premises and when I enter the new shop, it is sterile and unwelcoming, as is the shop assistant. There is no cave visit and I am not offered and tasting samples. What a different experience, and one that does not encourage me to buy their product, but the beautiful butterfly themed packaging makes for a nice gift. What to know more about French cheese? This entry was posted in Food, France and tagged Cheese, European Nomad, europenomad, fleurines, France, Gabriel Coulet, lacaune ewe, menhir, Papillion, Roquefort, Roquefort-sur-Soulzon, sheep, Soulzon menhir on January 29, 2016 by A Nomad.